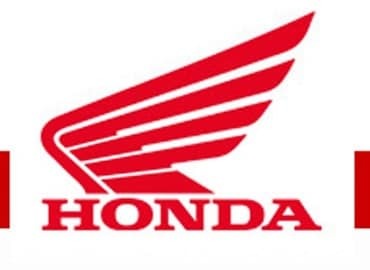 Honda Motorcycle & Scooter India (HMSI) is pushing hard for a bigger pie in the domestic bike segment with plans to open 70 per cent of its 500 new outlets planned for this fiscal in rural markets to tap new buyers. The company also plans to launch an all-new motorcycle model for the Indian market in this ongoing fiscal in order to grow its market share in the bike segment from 17 per cent at present. “Although we must focus on both motorcycles and scooter segments, there is much potential for growth in the motorcycle segment. We would like to increase our market share in the vertical,” HMSI President and CEO Minoru Kato told PTI. The company is now second in terms of bike sales in the country after market leader Hero MotoCorp. In the scooters segment, it is the leader with 59 per cent market share. When asked which segment would the company focus on in the bike segment to drive volume growth, Kato pointed out the 125 cc category. On plans to introduce premium bikes he said that customer demand and market size of premium bikes is growing in India and HMSI is “monitoring” the situation. This fiscal, HMSI has set an ambitious target of selling 60 lakh units of two-wheelers, over 10 lakh units more than the last fiscal. Terming it as a challenge, Kato said that expansion of sales network would play a big role in achieving the target. The company aims to have 5,700 sales touch points by the end of this fiscal. At the end of the last fiscal, its tally stood at 5,200 outlets. “We have set a target of adding another 500 outlets this fiscal. In the April-August period we have already opened 250 touch points. We will add 50 more this month,” HMSI Senior VP Sales and Marketing Yadvinder Singh Guleria said. He further said the enhanced network would also help bring incremental sales growth during the festive season. “Out of the total new outlets to be added this fiscal, 70 per cent will be in rural areas, where we see a lot of potential for our motorcycles,” Guleria said. HMSI expects sales to grow over 20 per cent during the festive season, he said. When asked about further expanding production capacity, Kato said the company is yet to decide on it as there is an expectation that the industry could go down a bit with BS VI norms coming in force from April 2020. HMSI is almost running at full capacity of 64 lakh units a year at present. “If we have to then we can make bikes in the Gujarat plant where only scooters are produced,” Kato said when asked about the company’s strategy if there was more demand for motorcycles. Last month, the company commissioned a fourth assembly line at Narsapura plant (Bengaluru), adding 6 lakh units per annum. The company, which has around 30 per cent overall market share in the domestic two-wheeler market, plans to dethrone Hero MotoCorp as number one by 2020. HSMI has been catching up on its erstwhile parter Hero MotoCorp. In August while Hero MotoCorp sold a total of 6,78,797 units, HMSI reported sales of 6,22,180 units, a difference of just 56,617 units.